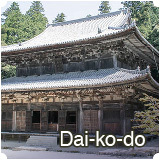 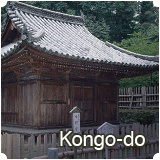 Goho-do Hai-den (a worship hall) stands facing Goho-do across the square of Oku-no-in (the inner sanctuary). 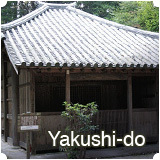 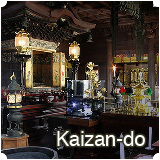 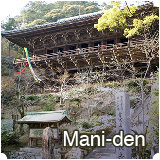 This worship hall is the building where the ascetics of Kaizan-do would confine themselves and pray. 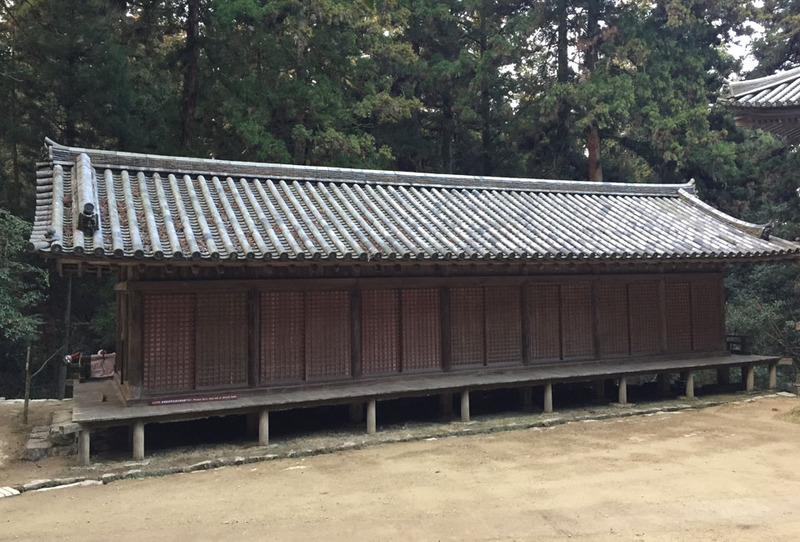 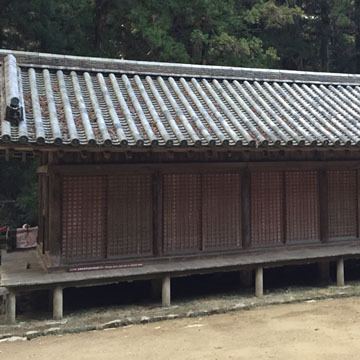 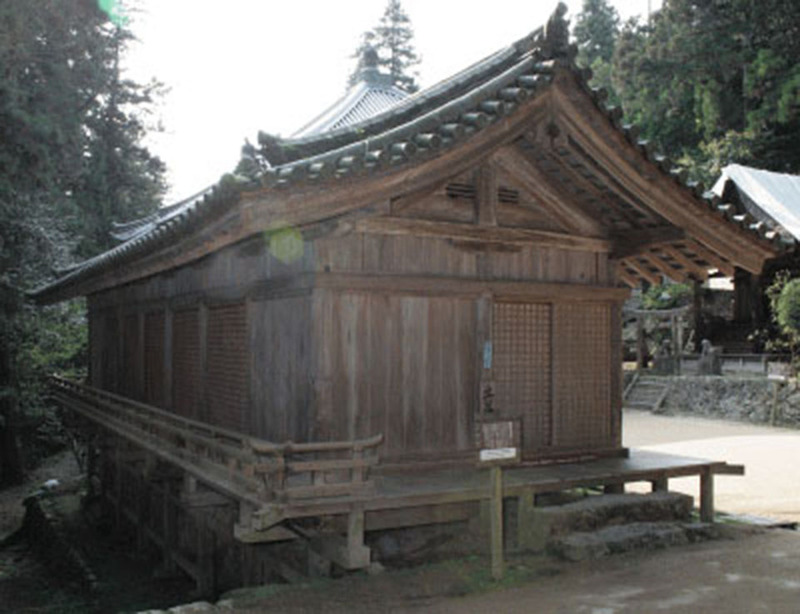 Built in 1589 (Tensho 17th yr) during the Momoyama period, Goho-do Hai-den was surrounded with earthen walls, and there was a gate in a Kara-hafu (undulating gable or cusped gable) style. 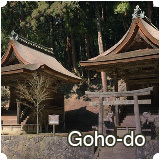 Torii (a Shinto shrine gate) built in the Kambun era (1661-1672) still stands in front of Goho-do Hai-den. 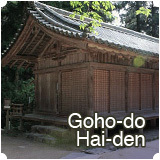 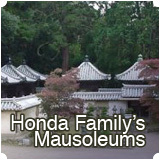 In 1962 (Showa 37th yr), Goho-do Hai-den was dismantled and repaired. 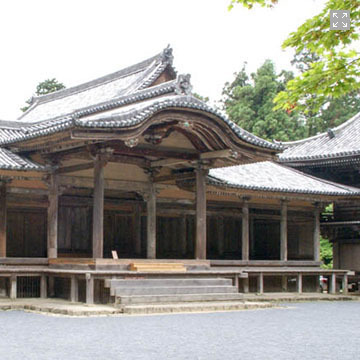 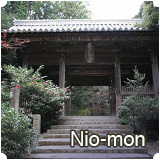 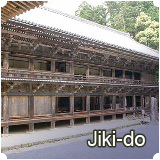 This worship hall is known as “Benkei-no-Gakumon-jo” (Benkei’s school for Buddhist doctrines). 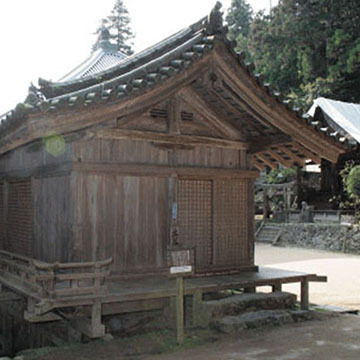 Benkei, an inspiring example of a strong man, is a Buddhist priest who faithfully served Minamoto Yoshitsune (a younger brother of the Shogun of the Kamakura Shogunate, Minamoto Yoritomo). 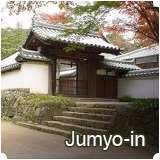 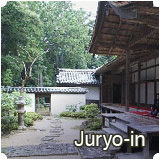 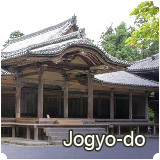 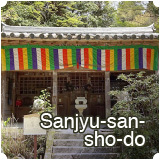 Jogyo-do is the training hall for Jogyo-sanmai: the Buddhist training in which monks earnestly recite the name “Amidabutsu” over and over without distraction while walking around the principle image for many days.